The little town of Rich Creek, VA, located in Giles County is where our next hardworking grounds maintenance team leader was born and raised, Ben Morrison. He made just a hop, skip and jump to attend Virginia Tech, where he graduated with Bachelors in Crop and Soil Sciences focusing in Turf Management. Ben brings 10 years of experience, a certification in 3A and 3B pesticide applicator license and a full energizing personality to our team. The work ethic and desire to keep lawns and landscapes looking spectacular is what continues to drive him today. Ben lives up to the motto work hard, play harder. On the weekends you will most likely find him on the New River fishing. He says that he is most grateful for sunshine and beautiful small mouths. 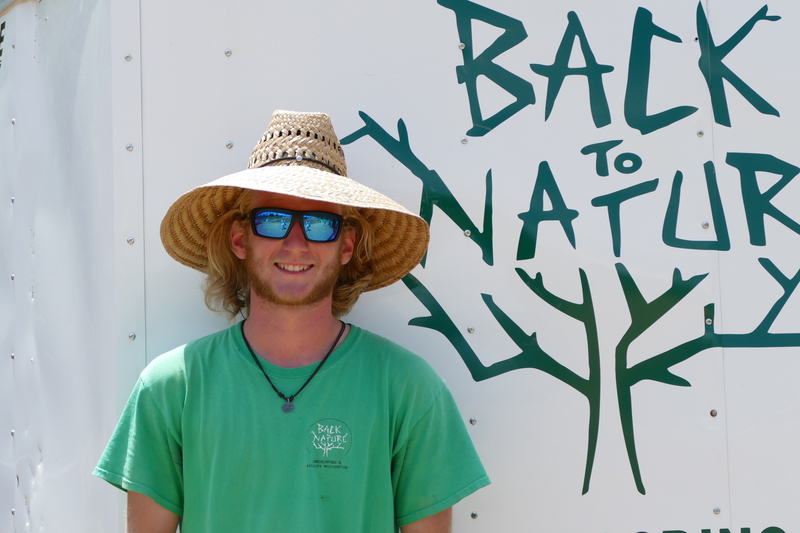 When Ben was asked about a fun fact about him he quickly replied, “I cannot find a hat to fit my hair!” The struggles of a landscaper are real at Back to Nature. Thanks for keeping our team laughing Ben.